Fog laps up against the base of Terra Tomah Mountain as Forest Canyon remains hidden from view. It's early summer and the summit of Terra Tomah Mountain is green from rain and snowmelt while the sun warms her face. 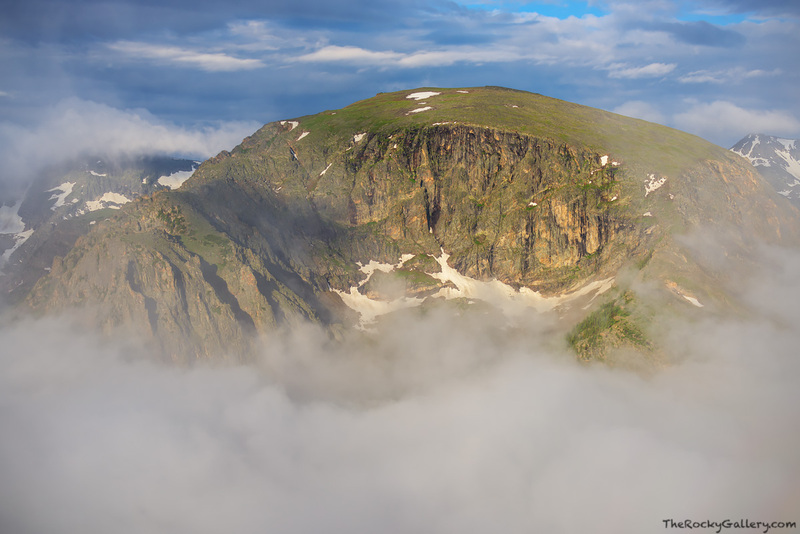 The distinct shape of Terra Tomah Mountain stands out when visitors to Rocky Mountain National Park travel along Trail Ridge Road, but on mornings with fog and sun the landscape is transformed by the dramatic weather conditions above timberline. Photo © copyright by Thomas Mangan.